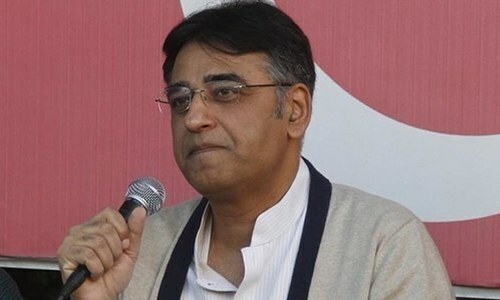 ISLAMABAD: As Finance Minister Asad Umar leads a delegation to Washington to finalise a three-year bailout programme, the International Monetary Fund (IMF) on Tuesday forecast Pakistan’s growth to fall to 2.9 per cent and 2.8pc during the current and next fiscal year unless its programme was accepted. The delegation led by finance minister including State Bank of Pakistan Governor Tariq Bajwa, Finance Secretary Younas Dagha, Economic Affairs Division Secretary Noor Ahmed and senior officials from these institutions would attend the spring meetings (April 9 – 14) of the IMF and the World Bank and finalise a bailout package to stabilise macroeconomic fundamentals on the sidelines. Before leaving for Washington, the minister had said the proposed IMF programme would be finalised on the sidelines of the spring meetings which will be followed by a fund staff mission’s visit to Islamabad in the third week of the current month to formally sign the agreement. Finance ministry’s spokesperson was not available for comment but Information Minister Fawad Chaudhry said that Mr Umar is currently in Washington to hold talks with IMF to negotiate terms of agreement — which he said are in the final stages — but another round of talks will be held in a few days in which the loaning plan will be finalised. He added that the tax amnesty scheme will be formally launched after the finance minister’s return to Islamabad. In its flagship World Economic Outlook (WEO), the IMF projects mid-term growth prospects for Pakistan to remain subdued at 2.5pc by 2024. The next year growth rate forecast by the fund was generally in line with 2.7pc growth projected by the World Bank a day earlier. However, the WB had forecast 3.6pc growth for the current fiscal year compared to 2.9pc estimated by the IMF. The fund attributed negative outlook to fuel prices and macroeconomic challenges and the impact of the slowdown in global economy. The fund projected consumer price index in Pakistan at 7.6pc during the current fiscal year, slowing down to 7pc next fiscal year and then stabilising to 5pc by 2024. On the other hand, Pakistan’s current account deficit was estimated at 5.2pc of the GDP during the current year falling to 4.3pc next year before surging again to 5.4pc by 2024. Yet, the unemployment rate was anticipated to stay largely flat at 6.1pc during the current year, 6.2pc next year and remain in the same band by 2024. The government has already shared its stabilisation and growth strategy along with all the macroeconomic data with the IMF that is believed to have become the basis of Pakistan’s economic outlook over the programme period and beyond. “In Pakistan, in the absence of further adjustment policies, growth is projected to remain subdued at about 2.5pc, with continued external and fiscal imbalances weighing on confidence”, the IMF said. Convergence prospects are bleak for some emerging market and developing economies. Across sub-Saharan Africa and the MENAP region, 41 economies, accounting for around 10pc of the global GDP in purchasing-power-parity terms and close to one billion in population, are projected to grow by less than advanced economies in per capita terms over the next five years, implying that their income levels are set to fall further behind those economies. Higher oil prices have been the main driver of this widening income gaps, estimated to have boosted the current account balance of oil exporters by about 3.5pc of their GDP. Symmetrically, the current account deficits of some Asian net oil importers (such as India, Indonesia, and Pakistan) have widened, reflecting their higher oil import bills. Among major current account surplus and deficit countries and regions, the current account surplus of China declined considerably, to 0.4pc of GDP, while the US current account deficit is unchanged at 2.3pc, and the surplus of the Euro area declined marginally to 3pc. As a result, the global economy would grow by just 3.3pc compared to earlier projections of 3.9pc. You can imagine reforms as much as you want. someone was saying, we ll never go to IMF ..... lying to public is not a crime..? IMF is all about gloom speak, so we rush into signing without questioning terms and conditions. We will NOT. My fellow Pakistanis treat his as a wake up call and remember nobody else even China will not help us monetarily. Blaming others will not get us anywhere. The blame of economic growth rate slowing in Pakistan due to the slowdown of worldwide economy must be a sigh of relief for IK's blind followers, whereas the rest would ponder over exactly same timing of the slowdown of worldwide economy and PTI taking over the government in Pakistan. No economic roadmap shared, no constructive work except we will make Pakistan a wellfare state. Bangladesh to put up 7% growth and Indian forrign remittances have reachef 80 billion dollars and we still are deciding whose names to be put on ECL. Housing, income support programs, and other social programs are good when state has money to spend and economy is good. Focus on generating business and show complete roadmap for next 5 to 10 years which is currently perhaps is inside Asad Omer mind and no one else knows about it.or perhaps they are waiting for the oil jackpot!! So the economic performance of the PTI regime is now defined: 2.4 % GDP growth or less. Leave kashmir issue and india and focus on your economy, every thing will be OK.
Only CPEC is contributing 2.5 % of GDP growth and since the total GDP growth is also 2.5% ,its clear that CPEC is contributing the entire growth in Pakistan. PTI Govt: the revenge of democracy. This is all US les lies. Pakistan will grow at 5.5 % every year. Pmik for life. Asad Umar FM for ever. Reforms means tax reforms, a long way in achieving when there is already lack of policies, determination, awareness and any stable political vision. Won't blame that to someone alien this time. @Superb, please let us mind our own business and stop lecturing. These figures from IMF are nonsense. IMF is just an American stooge, and they are biased against Pakistan. The whole world knows Pakistan is now a nuclear power, and therefore a world power. We also now have CPEC and backing of the world's most powerful country China (China is now more powerful than America). On this basis, Pakistan's annual GDP growth rate will be at least 10% per year. Nobody can stop Pakistan. IMF and America are lying. In past 49 years, since 1970 Pakistan became a crippled country in terms of industrialization, could not introduce a single reform rather destructive economic policies and wrong decisions. Nationalization of small cotton Jinning factories to all newly established factories and industries, completely destroyed Pakistan economy from its foundation. Now it is hard to revamp economy in few years. We were told 2% GDP growth just from CPEC? With this type of repeated gloomy economic forecasts, PM Imran should stop embarrassing ourselves in the global community by talking about Israel etc. As if we have some global standing. Why not focus just on improving the lives of our people? Nations should stand as one now. Reducing the size of the government, more effective utilization of resources. Reducing non essential import, like makeup, fresh fruit and cheese and McDonald and Piza hut product. Small Industry revival by providing interest free loans and no tax for first 3 years. Abolishing the duty on import of Machinery for those industries that export value added product. Increasing salary of the Professor and inducting highly qualified individuals as we we will be able to export more Pakistani manpower to advance countries. In 2024 India's GDP will be around $5 trillion. @Superb, Pakistan will develop Kashmir as an ultimate tourist paradise and will earn billions and recoup all financial investments done during kashmiri freedom movement. @Superb, Kashmir is like the spinal cord for Pakistan. Will never leave it alone, whatever the cost maybe. @F35, "PTI Govt: the revenge of democracy." @Superb, Pakistan should continue with the Kashmir issue. It is their bread and butter. Who cares about the economy? Assad Umar will either IK a success or a failure. IK totally depends on him. This is the reason PMIK is making many statements. As long as 'strategic depth' in neighborhood exists no matter how many reforms you do, it won't effect.Its like pouring more water into pot with leak. You can't get more water (read money) from friends or IMF forever. With every passing year India grows @7.5% or more,it adds more than your GDP you will be stuck in your own policy failures. Following conditions by IMF will be difficult in view of priority attention on other fruitless agenda than things that really need attention. This will be forceful education on Pakistani leaders and hidden forces to make attitude changes and get rid of present and old denials of what the world sees and what they don't. Good beginning anyway. No other way out. FM has to stop saying local pleasing statements and issue realistic onces. @Superb, Do you call your self Superb? Do you know what is Hike? Then take a hike..
Kashmir : what you achieved and what you lost. 2.5 seems fair... I am afraid It will go below 0% if things go like this. The borrowed money from different countries must be returned which will force the growth to be -5%. Kashmir is the core issue . No compromise on that . Pakistan will continue to provide diplomatic and moral support to kashmiris despite all the hardships . 1 percent reducing every day!! PTI Cbinet way of working: Leave economy to Asad, Foreign Affairs to Qureshi and the PM to focus on Israel and India. CPEC was considered to be a reform. What happened. Please try other sectors like Health, Education etc. @Rehman, Then why government is eager to sign an agreement eith IMF. Before trolls get excited, they have same problem and worse. @Superb, Thats the Indian wish! Time to Dump UA and get some professionals on board! @Razzak, Yes, but they never knew the extent of cash strap PML-N left the country in. President Musharaf left a debt of $32 billion after PPP and PML-N left 10 years later, we have a debt of $92 billion. Ann additional $60 billion and no one knows whwre it went. As every Pakistani repeatedly said since last 5 years I thought CPEC is a real game changer. But in real the game has never started and doesn't looks to be starting anytime soon. The fake painting is finally showing there is actually no color. Please wait for CPEC to be completed. The International Institutions like IMF,WB,ADB etc seem to be in a competition to downgrade Pakistans GDP and economy. @Rehman, Being military powerful and being economically powerful are 2 different things. Russia was military power but lost its center stage because economically they could not match US and Europe. If China is powerful today it is more because of its economic growth. @Rehman, Don't go to IMF then???? @naji, You should thank PPP and it mighty leader who destroyed Pakistan Z. A. Bhutto; since then it has not stopped. And country was moving forward. Then in an effort to topple Nawaz govt the whole country was put at risk...now they are clueless what to do. Stock market has lost Rs2900 billion. Due to devaluation of rupee our national debt has increased by Rs5000 billion. Chinese have snubbed this current govt and are no longer interested in working with them. We have been being every nation and them also going to IMF...prices have doubled. This govt has failed utterly. Many of the products used in India are almost all imported from China. India only export products worth $13 Billion to China, where as India imports products worth $60 Billion from China. This is because China is able to manufacture products at very low cost, If we manufacture those products in India, then even manufacturing cost comes out to be higher than Sale Price of those Chinese products. 1–3rd of our total imports are of Petroleum and its related products. All motor vehicles needs petroleum. This is also very huge import. Now even with above 2 points economy of India is growing at 7% rate and with inflation rate is just 2.5%. This is because good economic policies of government including Demonetization. GST and Make In India scheme. Modi Government kept value of Rupee against USD at constant rate for most of his tenure, which made India a reliable destination for investment and remittance by foreign living Indians. PTI leaders will continue to portray a different picture, and our innocent people will continue to buy their ideas. In the end this incompetent government will put the blame again on PPP and PML-N for "Not allowing Government to function"
Nawaz Sharif and Shahbaz Sharif responsible for this mess. @Rehman, My dear, if you PTI&co guy are so sure ( in fact delusional) that the growth rate will be 10 percent then , why going for an IMF package? To all our Indian friends, please don’t mix Kashmir with our economic issues. It is an issue because India committed atrocities against their own people. So it’s on you and not on Pakistan. So stop blaming Pakistan for all your shortcomings. You can’t sell this to the world anymore. As for the economy is concerned, PTI doesn’t have s magic wand to fix 70 years of neglect, selfish and corrupt politicians. Just give them time, things will get better. One more thing, instead of putting this all on PTI, think what you can do to help your country. May be start paying taxes will be the first. So stop complaining and do your part. Structural reforms should not be limited to monetary reforms only but Pakistan needs to adopt a new industrial paradigm. Adopt Drastic Innovative Solutions with the help of Pakistani diaspora community. It brings in experts, investments, and opens up markets for made-in-Pakistan goods. Train young people with the help of Pakistani experts in Artificial Intelligence, Block Chain, IoT, Microchip Design, Cyber Security, and Renewable energies. Agriculture can be transformed to not only feed citizens but exports to the entire Middle East, Africa, and Europe. If Netherlands can sell its tomatoes in Indonesia and Dubai, why can't Pakistan? I would not depend on China as it is a competitor and will sell its factory productions rather than taking goods from Pakistan. Almost $10 billion trade deficit is with China; more than with any other country. Per person export is $290 vs import of $430. If every one stopped using imported items, growth would be more than what IMF says. And who really approve IMF to be exactly right. According to IMF during Dar's time every thing was right and now look where we are. Growth will pick up from 3rd year if not next. @Fastrack, Yes the signing of the deal will happen irrespective of what you say. That's why the delegation is going to Washington. Reality is that the economy of Pakistan is in very dire straits and rhetoric such as yours does not help. Economic slow down is the best opportunity to upgrade skills of young people. Also, it is an opportunity for focused developments of a few key industries. Digital transformation is a must. The Entire Power and Gas industry should be put on automation through the use of Artificial Intelligence algorithmic and analytics models. All theft and corruption will be hindered. The savings from adopting these models will be enough to recover more than 50% of current losses. Cost to adopt AI models? About $10 million per year for the next 10 years. Savings? More than $5 billion per year after 2-3 years. Solutions are there. Will is lacking. @Pervez, .... If everyone paid their fair share of taxes we would have no serious problems. @Rehman, overconfident or too optimistic?? @Noman , ... Venezuela is a welfare state. A welfare state is impossible in any country where people pay no taxes. @Indian, We are least bothered. Don't worry. And still you want to compete with Indian economy. My fellow Pakistanis: the IMF is the economic hitman of the US. Their modus operandi has been tried and tested in many other countries around the world. Ignore them - a large oil discovery is to be announced soon, and all of Pakistan's current economic troubles will vanish. No doubt this is why the current government is not bending to the IMF, and the truth will be revealed soon. I think impact of CPEC and new oil reserve on economy is totally discounted. With lower GDP, currency may get a few hits. But technical charts show, currency settling at 125 if economic targets are met within 3 years. Currency stability is important for every businessman. To build new industries, Pakistan will have to invite foreign investors. I cannot invest in Pakistan unless I know if my factory equipment will be purchased at 145 or 150 or 140. For a foreign investor, Gov't monetary policies of currency, custom duties, and tax incentives are the most important along with capable and skilled workforce. I imported a product to use for exporting finished goods. I paid duty and tax charges of almost 60%. Same product I imported in Malaysia and paid 2% duty and no upfront tax. Now tell me, where would I build my factory? Pakistan must reduce cost of doing business and not just currency devaluations and raising revenue from duties. Does Asad Umar realize the gravity of the situation. I havent seen any reforms yet except raising gas prices, allowing people to buy prohibited bore arms. But once the jackpot of oil and CPEC will realised, Pakistan will grow at a rate of 20% per hour. @Razzak, - so what. But going to IMF is not good. Pakistan should continue steering the course as its doing right now, that is best course. No need for IMF to interfere in pak affairs..
Serious action should be plane.. Don't show us in action we need demonstration..
Having good relationship with India will help your economy. Please listen to the right people and focus on the people of Pakistan instead of outsiders. If you are economically weak, then you won't be able to help outsiders. Anybody can convert disaster in to opportunity. Provided they r ready to face reality and acknowledge it. Can they sacrifice their ego and leave behind burden of history? But every thing become quite gloomy as the proverb says, " Jo dar Gaya samjho o mar Gaya". Asad Umar is very smart. He only needs IMF to get into world bank , asian dev banks and other capital markets. He said loan of 8 10 billions is not the target. With CPEC AND Arab investments and hopefully oil gas discovery what IMF projections will goto to the toilet. Now is the time to invest money in pakistan and reep fruits in 10 years. @Rehman, are you serious about that. China is only putting you in a debt trap which will sooner or later be reality. Pakistan is going through a critical phase. I am surprised at the amount of loans taken from China for CPEC and the amount of interest payable. Much ceaper to take loan from Japan. Also Pakistan should seriously consider improving terms with India. Trading with India can considerably bring down costs and reduce forex outflow. She is right. Make reforms as desired by IMF. If you think any suggestion advised by IMF is not good , convince them instead of making public statement. Thank you Sharif family and Zardaris, for bringing us here, to our knees. Enjoy your ill gotten wealth, while the nation suffers. You will be held to account soon for us, by the best of judges. As if over decades of IMF programs Pakistan has become a super power. We must make sure that this is the last time Pakistan goes to IMF for bail out. Do not trust the IMF. They are, as they say economic Hitmen. Their objective is to make every country a beggar. No country has become economically strong taking loans and following IMF guidelines. lolz.... IMF say qarzaaa loo or economy theek ho jahay gi.... lolz... They are making fool to us. Dear Dawn, I appreciate you put so much effort in publishing your articles. But a humble request: Why do you except trolling comments from indians on every Pakistan related article? It creates senseless arguments and exchanges. Kindly take note. What kind of reforms these are?Why growth is linked with reforms?Why it is not said that India & some other countries blocking Pakistan in many fields & thus prohibiting progress! 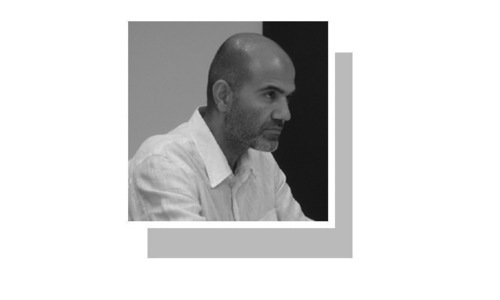 @Moazam, good to see people facing reality. Your country needs people like you. What happened to CPEC? You should have listen to your own rational experts. CPEC is nothing but a hype. It's just geo politics - trade with India equals end of economic hardship. This translates to "keep increasing the value of dollar and stay cool"! The most critical question is will this strategy revive the economy in 10 years? Unfortunately, the sharifs and Zardari have destroyed the country and caused drastic damage to the people of Pakistan. I am not expecting the economy to recover in a few years but a longer term forecast, for example a decade from now will give hope to the people of Pakistan. Thank you so much PMLN and PPP for making a mess of this country. I hope your family and friends are enjoying living in their luxury apartments abroad. Dreams like CPEC do not work. Make friends with all neighbours and work hard. Mr Umer is being accompanied by Finance Secretary, Mr Younas Dhaga. One thing I've never been able to understand - how can Mr Younas Dhaga who belongs to PAS and recently took over as Finance secretary can understand intricacies of economics at this level and provide best advice to Mr Umer? In-depth understanding of country's economy and financial matters and proving best advice to ministers is not a child's play. Irrespective of one's educational background, extensive experience and expertise in economics and financial matters is required to serve the country at this level. Ignorance of people at its peak. This a serious comment for young generation i.e. they have no hope for improvement in job scene, with these numbers country will remain poor for decades to come when other same economies are moving much faster. Pakistan immediately needs Tax and land reforms and reduction in defense expenditure to tide over the issue. IMF does not like to help clean government of PTI. They like to help PMLN, PPP and other corupt parties. The IMF operations are a part of the USA's geopolitical confusion to destabilise the region. IMF should at least tell People of Pakistan WHO put the country on this path of destruction and deceleration in economy; let us hear the truth? How Pakistan came to this low level? Not a good sign for Pakistan. Not a good sign for India as well. Despite all differences and issues, I still believe that Pakistan should talk about peace with India and revive socio economic relations with it. Once again Bollywood and cricket should thrive between us. We should get Pakistan visa easily to visit Pakistan as favoured tourists and visa e versa. Let's not talk of hate and dominance and division but unity and love and support. Let's build a strong subcontinent with thriving economy. It's difficult to grow at a fast rate if the majority of the country is run by deep state. Trust me the sooner you understand, the better it will be. Unfortunately despite so mush of talent, the country was playing hired hoodlum to the super powers and continues to do so. India hatred at the center of most of the news, foreign policy, economic and cultural discussions and the defunct "unfinished agenda ". This will not take the country anywhere. Something drastically gone wrong with the basic economic foundation, mindset and direction. Probably the mercenary attitude since 80s has done immense harm which no one seems to talk about. Imran Khan led PTI is an incompetent Government, they cannot run country economy. Khan was about to announce Oil reserves discovery, where is the announcement. The growth is slow worldwide - PMIK and China are doing their best to speed up our economy. We hear the same doom and gloom every few years. Nothing new. This will pass and we will continue living. If growth is 3% or below and the requirement is 7% or more to absorb the additional people joining the labour market every month the unemployment numbers will escalate year over year adding to social unrest, madrassa trained militants, crime and other negative factors. How does IMF / PTI suggest coping with this huge problem of being unable to get any demographic dividend? @Minhaj Khokhar Silicon Valley, I like your views, IT solutions are enablers, does not create goods and Services, suggest idea how to generate new jobs, please understand if Govt spending reduces , this will not be good for any country. @Minhaj Khokhar Silicon Valley, The thinking is good. However a very high percentage of the Pakistani diaspora is unskilled (even illiterate) and semi skilled labour overseas including those in the West like the UK, US, Canada, NZ, Aus, etc. Taxi driving in San Francisco or NYC or engaged in construction labour in the Emirates or Saudi Arabia is good for $ remittances only and we should be thankful for this as it amounts to more than the total loans arranged with KSA, Emirates and China by the PTI government recently. To expect this diaspora to become great innovators in science and technology is a pipe dream and unrealistic. if election results were not manipulated and we had continuation of previous government, then in 2020 we could have achieved growth rate of 7 percent. I don't believe IMF. Once CPEC gets completed the GDP growth rate will be above 6%, for Chinese economy. @desi dimag, Cmon man. We need to stop bringing India into this conversation. Let us not forget one thing. We need an economically strong set of neighbours if we want India to continue prospering. When there is economic growth in our neighborhood the political tensions will slowly ease out. Without aid , Pakistani outlook looking bleak. Who left the mess and you expect reforms in 6 months which opposition does not want because they do not want to pay the tax. Geopolitical tension and other economic measures are blamed for the economic stagnation in the MENAP. Who is stoking these tensions? Can one country be named that did well after their proposed reforms and guidance? If the economic growth rate remains 2.5% till 2024, that mean PTI government will go down in history as the worst performer in terms of economic management of the country. To whom trust government or international financial institutions. In last week, we have assessment of Pakistan economy initially from ADB, then World Bank and Now IMF. When we will have sincere government. Learn the lessons from Korea, China, Japan. Only solution is industrialization and increasing exports. How long you can rely on IMF? @rajeev sharma - You are 100% correct. US gives aid, China gives loans at high rate. Also, friendship with US helped Pakistan till 2004, as IMF and European countries were helping Pakistan. Once Pakistan became close to China, every one ran away as no one wants to show themselves as anti-US. US gave weapons, Money some times free of cost, unlike China which charges high interest rate and as loan. India was not able to become close to US till Pakistan was US friend. Once Pakistan broke relationship with US, India signed strategic partnership treaty and nuclear treaty. China killed Pakistan industry and jobs were created in Chinese factories. Now, Pakistan markets are flooded by Chinese goods. Jobs are created in China with the help of Pakistan. The report of the IMF as well as of the World Bank is not that much bleak, taking into consideration the world market and its projections. The Un-employment rate compared to other third world countries is not that much alarming. In-fact much better that other developing countries. Also that the growth rate for Pakistan in line with the anticipated Global Economy of 3.3 pc is also understandable and at the same time not very alarming. If the economic activities planned in a more better way by the current PTI Government, the projected growth rate can increase and in the days to come economic stability can be achieved. So Good Luck Pakistan and its Economic Team. 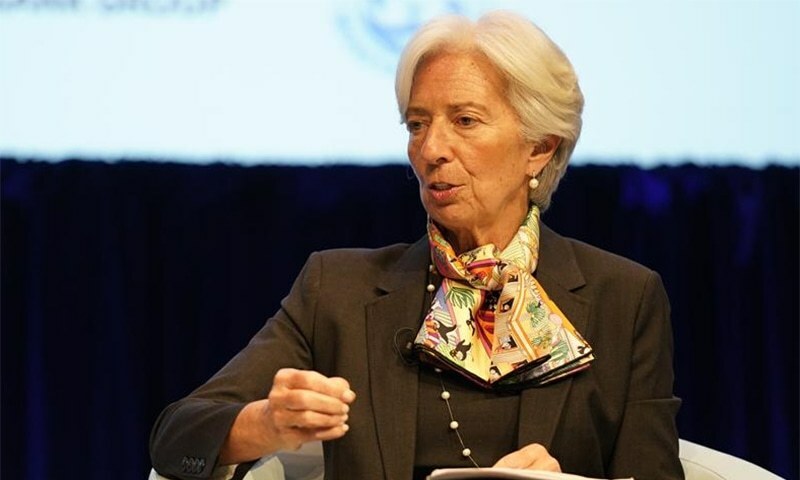 In-line with its policy since WW II, what else can the racist, prejudiced and biased IMF say in order to instill fear and generate doubt into the hearts and minds of the people, a prequsite for nations to seek IMF help and financial assistance? @Zak, : What's is education?? Instead of acting and imagining himself as a global leader, PMIK should concentrate on his country's economics. I doubt - whether he has any idea about Economy - it will be make / break factor for him if he does not do a serious rethinking. @Rehman, are you sure? Pakistan is going to IMF for bailout not the other way round. When you go to bank to loan money you agree to their terms and conditions. You are free to explore other options. So did the govt however the bailout money was no where code to what they needed. Before making big bombastic claims abt growth and calling names pls understand this is not the first time Pakistan has gone to IMF for loans and will not be the last. Stop going to IMF for money and you can live with the growth rate of your dreams..
Resources are not properly managed in this country, unnecessary areas are focused instead those sectors which is helpful for economic growth. @Ishtiaq Khaliq, "Learn the lessons from Korea, China, Japan." You cannot run a welfare state for the rich, by making poor pay the cost. There will be no industrialization or export if you maintain an elite. As simple as that. You are trying to defy the law of nature, it will never work. pakistan got separated from india. india is growing at 8%. bangladesh got separated from pakistan. bangladesh is growing at 7%. pakistan is growing at 2.5%, waiting for cpec, oil discovery, return of looted money and other kinds of halva. good luck. @F35, it’s also clear that the entire IMF bailout package will go to pay for China debts, No? MbQ came all the way for nothing?? Ann additional $60 billion and no one knows whwre it went. Everyone knows where it went. It went to Strategic Assets. It was openly distributed to TLP cadres. It is spent on Toys for Boys and DHAs. It's nice, DAW! has choose to inform Pakistani readers about the long term economic outlook, as viewed by IMF, except one glaring omission; same report by IMF project growth rate for India to continue to move up! from 7.2% to 7.75% by year 2024. Just by opening up trade with India, Pakistan can gain a lot and help its economy. Other than China,the only other hope is on INDIA which is growing at around 7.5 % the fastest among all economies. @Logical guy, CPEC is a liability for Pakistan.The sooner it is understood the better. Here’s my 2 cent advice to Pakistan, Stop the spending money on unnecessary military expenditures and invest in education and infrastructure. If you don’t have talent or technical skills even CPEC will not help. The jobs will go to Chinese. India will not invade or take any territory because you military is less stronger. It’s simply is not possible in the modern world to invade sovereign countries. Even if that happens, most countries would not recognize such occupation. So why bleed so much money on needless toys? Regarding Kashmir, it’s impossible to confiscate India administered kashmir no matter what for two reasons, India will never give up because it is much stronger than ever before and second the US and Western world will never allow to antagonize India, be it for markets or to support its vibrant democracy or due to strong lobbying or as a counterweight to China!! So, why fight a loosing battle?? No one is asking you to give up your Kashmir! Isn’t it that simple to follow?? I hope the projected growth of 2.5% is adjusted for inflation. Otherwise, with inflation at 5%plus Pakistan will end up with a 'Negative Growth' of 2.5%. @Pak_UK, pls prove the world wrong. A stagnating economy in Pakistan is not good nor neighboring countries. I do hope you like many others on this board and people facing day to day issues in Pakistan what the truth is. What they do care about is what is happening on ground since they need job and a moderate inflation to have a stable life. Unfortunately both are not on the horizon. This harsh reality check could be damaging for some who believe in selling dreams. Pakistan needs sincere people from political as well as from bureaucracy domain in order to devise the right policies. And negotiates with other countries and institutions by considering Pakistan interest first. Clear lack of policy capacity of government. Dear pak fellows, don't worry. PMIK is going to declare the news of new oil reserve discovery very soon. That will uplift pak economy. What a sorry situation Pakistan is! Compared with Bangladesh which is one of the fastest growing economies of the world!! Austerity measures and reforms are always unpopular and painful initially. In the long-run, the impact of these policy changes will be visible to all. Have faith. Nothing happens overnight, nothing is achieved without some sacrifices, nothing good happens without setting priorities and choices. Wait for the fruit to ripen, before judging the whole government and its performance in just 8 months. The IMF loan will be on our terms, a Umar. IK, leave IOK alone, everything be OK.
@F35: The numbers explain for themselves. CPEC has now transformed the economy of the country. Can't imagine the country without it. why don you ask this ( if you have moral decency ) to PMLN and ppp ?.. scared ? or don know ? or just flowing wirh pungent media wave ? @desi dimag, how come you calculate usd 5 tr as gdp ?... yet you are commenting about ecenomy... amazing...!!! With India expected to grow at 7%+ annually over the foreseeable future & Pakistan expected to grow at less than 3%, in another 5 years, Indian economy will create GDP every year which will be equal to Pakistan's entire GDP. The economic gap between the two countries will widen even faster than previously expected. IMF is not a friend of Pakistan, instead they are putting our country deeper and deeper in debt. real solution is to recover looted money by PPP and PLM-N . clean up the tax/revenue Dept from corrupts. recover unpaid taxes from rich. @Raja Parekh, Don't we need loans from IMF? @2.5 means receding, depleting, lessening economy. Growth is the wrong word used. @nd, tell ur govt, no need to go to IMF. Please tell us those "reforms" which are not to fill your pockets. @Rehman, I don't understand why do take credit for someone's strength? Truth is out there, 2.5% growth is clear indications of trouble ahead. This government needs to wake up. It is already too late. @Noman , Do you want to bring back Ishaq Dar and Nawaz Sharif to govern Pakistan again? Be my guest! @Mr.Afghani, a lot the money given are mostly grants that means free and cannot be returned. @Ram, wrong calculation. I am an economist and India true rate is currently 0.5% only if you account for all the trade deficit and huge loans from China. Wait guys don't be pessimistic .IMF growth forecast keeps going up and down .what is imp is finish the cpec projects as soon as possible .cut down on luxury goods.my projection is growth will hit 5.8 in 3rd yr,7 in 4 and 8 or 9 in last pti govn term. It is obvious that though economic meltdown in macroeconomic fundamentals bringing down the GDP growth from 6.6% to IMF projected 2.5%, can be attributed to a large extent to global economic slowdown caused by high oil prices. But nevertheless, substantial part of it can also accredited to mismanagement of economy, by our finance team through their ineptness & inexperience by choosing wrong set of priorities for curing the sick economy in the first place. Despite the fact correcting our fiscal & current account deficit & rising inflation could have been corrected through a institutional & structural reforms program implemented through a longterm economic plan but what we saw during the last 8 months, was 2 cosmetic in form of mini-budgets & others which by a large providing a breathing space for few months, didn’t provide any respite. The IMF agreement with its enforced aforementioned program, is likely to create very painful reverberating effects for poor masses in the coming days. you need Growth centric economists like inddia , china and vietnam to lead the effort. Give man a fish he will eat for one day, teach him to catch a fish he will eat for the rest of his life. without increasing the tax base, borrowing billions from all possible sources is not going to help Pakistan get out of the soup it is in. How to increase GDP growth? Encourage govt spending or reduce the tax rates both not possible . Reduce interest rates , not possible . Follow Indian Model or China Model for development. @Chinpaksaddique, can you please show the calculations of how 20% is achievable? this model of growth must be studied by the world after its success. @Logical guy, what CPEC? The Chinese also seem to have drastically cut down on their potential investments in Pakistan. More than 50% projects are languishing and might never be completed now. 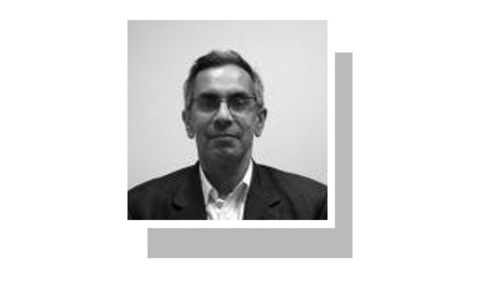 Pakistan is up the creek without a paddle. Reform is a code word for letting the looters continue the loot. @Satyam, yes over 90% of Pakistan's expected growth is from the CPEC. I'm not even sure this will happen. @Mr.Afghani, well said. No one has taken into account our many loans and repayments thereon. @Yas, I think Dawn is perfectly right to have an open expression policy no matter from whom and where. I think many useful things are also brought forward and discussed that we would normally not be able to say here. Keep it up please. Thanks. No one ever said we wont go to IMF. Pakistani is a hopeful nation. Optimism and hope is half the battle. We shall overcome this. @Chinpaksaddique, would you please educate others regarding the calculation of 20% growth rate? This is very bad. leaving a debt burden for our future generations to repay. Our parents used to say, never borrow for something we cannot afford. CPEC is one such example. @Zak, this may happen after your lifetime. And with reforms it will shoot up to 2.6 %. @F35, yes, they are promised to get $100B by western powers. right! So many dumb comments without understanding how economy works. It take years for a company to turnaround into profits with right direction. And here we are talking about a country that has been surviving on loans for past 30 years, where everyone from top to bottom is corrupt, where no one wants to pay there fair share of taxes, where people just blame others and don't want to do anything themselves to make things better. The Govt alone cannot bring change if people don't bring change. Also, Pakistani's need to understand that there are countries that don't want Pakistan to succeed and that is the reality if you agree or not. You are lucky that no matter how incompetent you think current govt is, atleast they are sincerely trying to make Pakistan a better country, where there is equality. If previous govt were still there, then in next 10 or so years there would have been no Pakistan. Every Pakistani citizen would have been in debt that could not have been paid back. @Rehman, are you being sarcastic? @R Khan, Definitely agree to a certain extent. Not all members of the diaspora are technology experts. But remember, it does not require huge amount of experts. Not everyone in China or USA or Japan or Germany is also not an engineer. Leaders are few, followers are many. Only 2-5% of diaspora living in USA and Canada will be sufficient to turn things around. India, China, Korea, Taiwan, Ghana, Israel, Philippines, and others have built their economies by including diaspora communities. Pakistan's diaspora community is the most unused, therefore, abused and looked for remittances only. Ministry of Overseas Pakistanis is the weakest ministry. Growth does not matter. Previous rulers were all looters. PTI is extremely sincere. They are doing their best. So everyone must bear with impoverishment and unemployment. Right? @Minhaj Khokhar Silicon Valley, you are absolutely right. For decades together we are trying to find the one who will bell this cat. With present growth rate of 2.6% - world highest, we will be 440 millions plus by 2050. The water scarcity looming in 2025 and beyond, coupled with ongoing economic downhill journey one shudders to visualize the chaos and mayhem, when our nation would be faced with task to feed such a vast number of poor people with meager and unsustainable resources, as always,m in hand. Please spend a lot on Solar panels to generate electricity. Reduce dependence on imported oil! @A Man, first he should get an education. This observation was shared with ALL the past governments, but they never listened to them. They kept on doing what pleased their voters (small group) and not what might be useful for the country (large group). Let us see how PTI work on these suggestions. I scoff at these IMF's suggestions. If one were to follow their suggestions, one would never be able to get out of the debt trap. They are not there to help you out. They are there to feed off of your problems and do business. Do the exact opposite of what IMF tells. She forgot to mention that with reforms it would be 3.0 per cent. @Superb, I think we'll do better worrying for ourselves, you don't have to concerned for us, thank you. @Zak, Good dream and its Day dream!!! What if IMF delays the programme by three months or so. For long, we hear about corruption done by Sharif & Jardari. What is the amount to be taken away ,any guess ?10/20/30 thousand crores? What will happen if this amount added to economy ? You can not built even a big dam from that amount. So, come out of misleading slogan of corruption and take extra ordinary steps to save the economy. Whether you like to hear it or not, Pakistan military is at the root of all problems in Pakistan. Just to keep their position above everyone else, they have brought the country to this state. Just ask them to return back to the barracks and see things improving magically. @Logical guy, All problems will be solved for Pak, once CPEC in place. Pak will soon be #1 economic power in the world. Please wait for couple of days more! @Rehman, Can you please borrow from China at subsidies interest? China will never bail out any country only West is generous and Japan. Will you eat CPEC. If growth is 5 or 10% why the rupee devalued, stock market crashing and inflation rising in double digit? Pakistan don't print dollars. This fall was inevitable. The question was how long this fall can be postponed. More delay, more pain. @Zak, Much as I admire your dogged patriotism, logic does not seem to be your strength. Do you have any idea what the GDP growth projections for these countries you hate? Since World Bank and IMF projections are suspect in your eyes, why not visit PWC (Price Water & Cooper) websites where you can compare the GDPs and growth rates for Pakistan versus other countries? If Pakistani people have to live eating only one bread at a time instead of two, as suggested by one of our own dishonourable ministers, or even with half a bread at one go as looks possible with the events taking place around us, perhaps we could do well without accepting any loans with collaterals being asked for by the lending agencies. At least we will know that we have not bargained our country's future for the sake of our today. We Indians need to mind our own business and stop lecturing or advising Pakistan. Pakistan has enough economists to look after them. Only way to come out is cut down all expenses by 30 to 40% except education, health and social welfare. Pakistan should keep Kashmir on the back burner for 50 years, make peace with India and then get back its Most favorured Status and sell in the huge Indian markets.